So you’ve decided to hire a caregiver through a reputable in-home senior care agency. Congratulations! You’ve taken the first step towards improving quality of life and enhancing safety for your senior loved one. If you’re like many family members beginning the home care journey, you may be at a bit of a loss as to how to proceed next. Never fear, Compassionate Nursing Services is here to help! Do you employ your caregivers? If caregivers are hired as independent contractors by an agency, rather than as employees, that means YOU are the employer in the eyes of the IRS – meaning you’re responsible for filing appropriate tax paperwork, making appropriate payroll tax and worker’s compensation payments, providing insurance, and more. How are your caregivers screened? For your loved one’s protection, make sure the agency performs in-depth criminal background checks (local, state and countrywide) as well as driver’s license screenings. Caregivers should be checked for both misdemeanor and felony charges, and only hired if their records are clean. What kind of training is provided? An agency that provides initial orientation and training, as well as long-term ongoing training, would naturally be preferred over one that relies on caregivers’ past experience only. How much input does the family have on care? Top quality agencies will offer an initial in-home assessment in order to create a customized plan of care. Can family members, as well as the senior herself, contribute to the creation of this plan? And will the plan be updated regularly as needs change? What if my loved one wants a different caregiver? Although agencies that strive to provide the best service will incorporate detailed client-caregiver matching, to make sure personalities and interests are in line, there are still occasions when a client-caregiver match may need to be revisited. 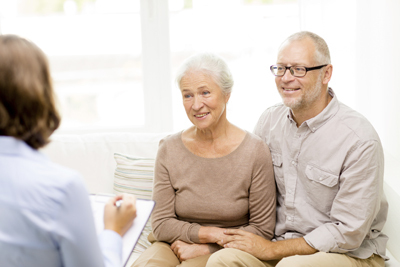 It’s important to ensure that your loved one can request a different caregiver if desired. Your main goal, naturally, is to help your senior loved one thrive and remain safe and comfortable at home. Professional home care agencies, such as Compassionate Nursing Services, are dedicated to making sure that the needs and desires of the seniors entrusted to their care are met, with the highest standards set for their caregiving team. We’d love for you to keep Compassionate Nursing Services in mind when researching St. Louis home care agency options. You can reach us at 314-432-4312 with any questions.